Without doubt Tableau Software set the pace for easy-to-use data visualization and exploration software. In practical terms this means business users can get to their data, typically without assistance from IT, and create graphs, charts and dashboards in a way that is most meaningful to them. Authoring takes place on Tableau Desktop which, as a stand-alone environment, can perform its own analysis, either against the Tableau in-memory database, or against external data sources – databases, cloud data sources, spreadsheets and so on. In a group or enterprise setting Tableau Server acts as a central facility for data access, delivering visualisations, enforcing security and managing user access. Tableau Server distributes visualisations through the web browser to almost any device that supports a web browser – desktops and mobile devices. The architecture of Tableau Server is scalable, and is well demonstrated by the Tableau Public free service where millions of visualisations (albeit simple ones) are served up every day. It does support some level of extensibility, particularly the coding of bespoke applications that are not natively supported, but users have to resort to XML code to achieve this. One of the more intriguing aspects of Tableau is its integration with the analytic language R. It is such a stark contrast – the easy to use Tableau product set, and the not so easy to use R programming language. Even so it does give advanced users, and programmers the ability to add other forms of analysis into the Tableau environment, and particularly statistical analysis and predictive analytics. This contrasts with some of the competition (Spotfire particularly) who, in addition to an easy to use visualisation capability also offer easy to use statistics and predictive analytics tools. I set out by saying that Tableau set the pace, but in reality it is now at least equalled by several other products. Qlik Sense and Spotfire have both been reengineered for an easy to use experience, and there are cloud based products such as Sisense and GoodData. And of course we should not forget Microsoft’s latest foray into the world of data visualisation and exploration with Power BI Designer. It’s immature, but it will be disruptive. Tableau is not an enterprise business intelligence solution, and the fact that several other suppliers use it as a data visualisation front end betrays its real use. It is a powerful augmentation of a broader business intelligence solution. As with most platforms of this type Tableau presents a drag and drop data exploration interface. It is Tableau Desktop, which can be installed on Mac and PC, that provides the visualisation authoring environment. It provides most of the chart types and tabular representations a user might need, with intelligent assistance during the visualisation creation phase. Tableau Desktop serves multiple purposes in addition to authoring. It allows users to manipulate metadata, and publish a workbook (a complete visualisation package that can be executed by Tableau Server). The VizQL Server – authenticated users can open a view and this server then sends requests to the relevant data sources. The results are sent back to the user as a HTML5 rendered image. This server component can be replicated as many times as necessary. Application Server – is the gateway to Tableau and handles various permissions, content browsing and server administration. Again this server component can be replicated as needed. Data Server – provides IT with a mechanism for IT to monitor, manage meta data and access to data sources. Backgrounder – refreshes extracts from databases. Various APIs are provided for integration of Tableau objects with production applications. A data extract API provides direct access to data sources, allowing data to be pre-processed before being used by Tableau. It also facilitates the creation of data extracts, which are used directly by Tableau visualisations. The REST API supports the direct manipulation of Tableau Server objects. Users can extend the functionality of Tableau provided they have some knowledge of XML. The management of data access is governed by IT through the Data Server. The Tableau Server provides data isolation and multi-tenancy. Multiple “sites” can be hosted in a singe server, and each site can have multiple projects, which in turn can have multiple workbooks. Each entity can be managed as desired. Authentication and security support Microsoft Active Directory, SAML, oAuth and a native authentication managed by Tableau Server. We started by saying that Tableau set the pace for data discovery and visualisation. Inevitably the competition has not sat idly by and let Tableau maintain its lead. The ease-of-use factor that propelled Tableau is now equalled, if not surpassed by several products – some mentioned earlier. 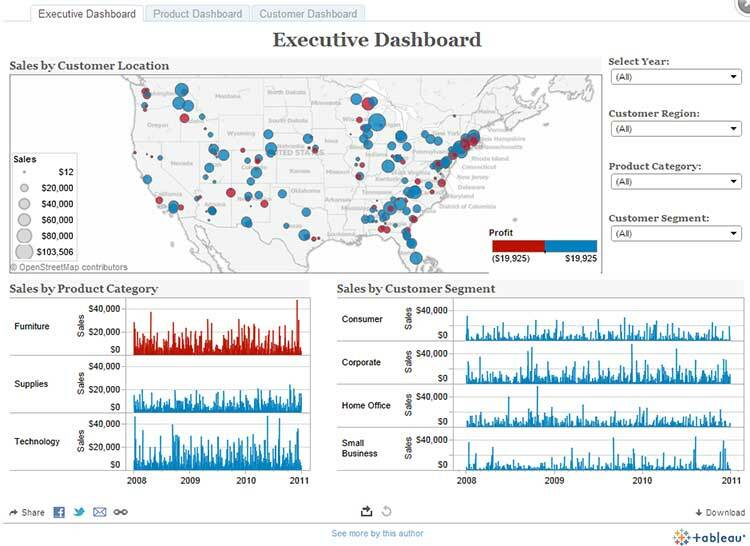 Spotfire – offers similar visualization and exploration capabilities, and Version 7 was in effect a response to Tableau. Spotfire however goes well beyond data visualisation and discovery, and provides fairly easy to use statistical, predictive analytics and text analytics capabilities. 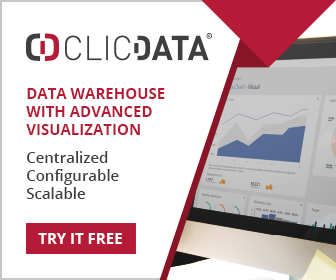 It offers a much broader capability than Tableau, but with the same ease-of-use factor. Spotfire can also be seen in the context of TIBCO’s event processing and integration technologies. Qlik Sense – again provides similar visualization capabilities, but is much more advanced in its discovery capability. The associative data engine knows how data sources are related – a great help when trying to understand data. It is also more extensible with several modes of extension. Qlik Sense is a direct response to Tableau’s ease-of-use, and is a follow on from the more production BI orientated QlikView. Sisense is a cloud based business intelligence platform that also claims very fast processing capability. Because it is cloud based it is not limited by desktop memory, and so very large queries can execute at lightening speed. It too uses a fast columnar database, and users consider to to be very easy-to-use. In terms of positioning, Tableau is best seen for what it does best – serving the needs of business users who want to see their data in easily understood formats. It is in no way a full business intelligence solution and will be most likely used as a companion to a broader BI solution.